Fall is in the air, and so are pumpkins, cool nights, and curling up with a good book! 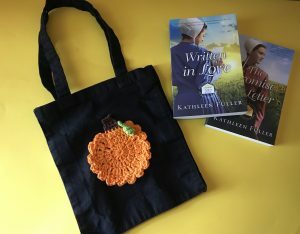 I’m giving away a little prize pack to celebrate my favorite time of the year: a handmade tote bag, and autographed copies of Written in Love and The Promise of a Letter! To enter, simply tell me in the comments about your favorite kind of candy. NOTE: CLICK ON THE TITLE OF THE POST TO GET TO THE COMMENT SECTION! Thank you. NOTE #2: If you’re having trouble entering a comment, contact me using the form on the homepage. I’ll add your name to the contest. My apologies for any inconvenience. The contest will run from Oct. 16- Oct. 20. I’ll announce the winner on the 23rd. Good luck, and thanks for entering! PreviousChristmas Brunch and Christmas Tea In Pennsylvania Amish Country! There is just too much candy to choose from. I guess my all time favorite is anything caramel. Would love to win. Love your books. I love reading your books.keep on writing. Love Reading Your Books!! Hope To Win! Twix bar is my favorite. Then Carmel chews. my favorite candy is Hershey bars and Reese’s peanut butter cups. I love chocolate also. With nuts and fruits mixed in. I also love Pay Day bars. Salted nuts and caramel, yum. Thank you for this wonderful opportunity. Good luck to everyone who enters. I love all things chocolate as well. Snickers especially. My favourite candy is chocolate. Coffee Crisp is the Best chocolate bar ever! My favorite candy is Peanut Butter Fudge! Love reading your books! I have two favorite candy bars. I love Reese’s Peanut Butter Cups and my other favorite is a Mounds coconut bar. Love your October giveaway! Chocolate, all kinds of chocolate. But I don’t like chocolate and peanut butter or chocolate and mint or chocolate and fruit (except strawberries). Yeah found it! favorite candy is Reese’s anything, Love me some chocolate and peanutbutter! I love peanut butter m&m’s. I buy the big bags from BJ’s and go through them so fast! My favorite candy is Amish Cashew brittle. I buy it evaery time I am in the nearby communities. Nothing compares. I love this giveaway….cute fall bag! Mine is chocolate, preferably dark chocolate. My favourite candy treat would be a chocolate bar… anything with chocolate and nuts and/or caramel. My favorite candy is Hershey Chocolate bars . That’s a cute bag. I especially love Lindor truffles. I love the sea salt milk chocolate or the hazlenut flavors. After chocolate, I’d say red Twizzlers would come in second place. All things chocolate…especially with caramel…and if it is called Milky Way that is even better! Chocolate covered toffee and butterscotch candies. Peanut butter M & Ms.
My favorite is Orange KiKat. Thank You for the giveaway. Reese’s peanut butter cups, Mounds, Cherry Mash, and the old Mars Bars. Love mounds candy bars. But I do like fruity taffy candies too. I love chocolate. Hershey bars, Reese cups. m&m,s. I like anything chocolate. Don’t like white chocolate. Absolutely love anything with chocolate and caramel. God bless ! Anything chocolate goes but my favorite is a Snickers bar! My favorite candy has always been the homemade taffy that my grandma made; not only does it taste amazing, but we always got to help stretch it and it was incredibly fun! I would definitely have to say my favorite kind of candy is chocolate. Although, with it being fall, I have to mention I also like the candy corn/candy pumpkin mix. Jelly Belly Jelly Beans and any chocolate bar with nuts and caramel in them! Chocolate. Chocolate. Especially dark chocolate! Almond Joy is my favorite but any that involves chocolate comes in second. My favorite candy is peppermint patties. Love reading about the amish. My favorites are Reese’s cups and Dove dark chocolate! My favorite all time candy is NEC CO WAFERS! Although, I do love chocolates too! Hershey’s kisses are my favorite candy followed closely by fudge! Found Butterfinger Crisp and love them. There are other candy bars crisps too. Snickers, Baby Ruth, etc. Love the crunch ! I really like chocolate covered raisins. I also like Watermelon pull n peel Twizzlers. And a new favorite this year are pumpkin flavored Kit Kats. What a wonderful fall giveaway that you have !! I have purchased and read some of your books in the past. I really love your books !! 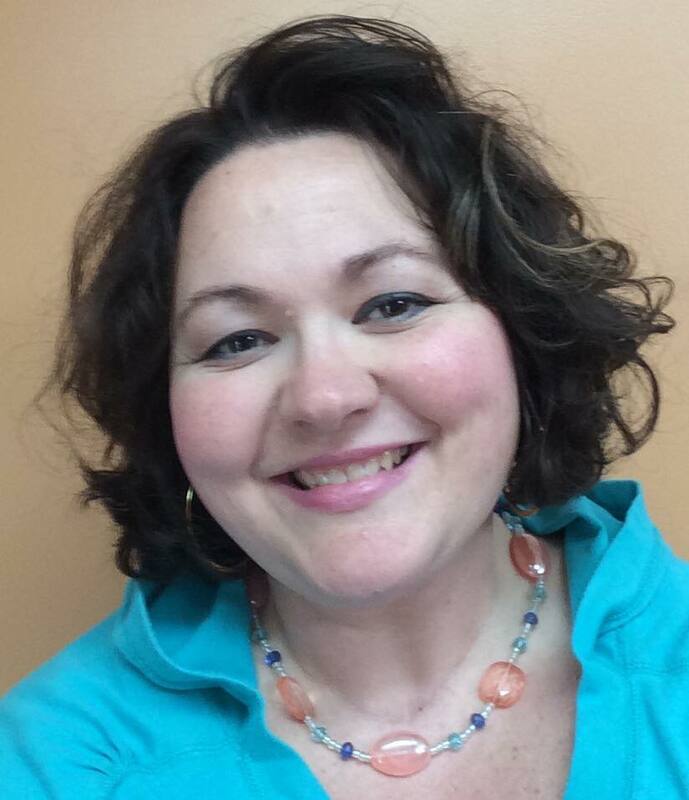 I haven’t purchased books in quite some time as my husband is disability and I am unemployed. Chocolate and peanut butter tickle my taste buds! I love Dove dark chocolate with almonds! I also love your books and would be delighted to win this prize! Thanks for the chance. My husband got me hooked on Heath bars and I still enjoy one every so often when I need a sweet reminder of him (he passed in 2014) but I also enjoy Reese’s cups. I love Hershey Bars with almonds. Gotta have the almonds! My favorite candy is anything with caramel or peanut butter in it. It’s a huge bonus if it has both. Love sea salt caramel as well. Yummy! Love, love, love Lindt Dark Chocolate Truffles! My favorite candy is anything with chocolate and nuts! I also love a good Butterfinger! The tote is beautiful! My favorite candy is chocolate. my two favorites are Reese’s peanut butter cups and Milky Way. I am looking forward to reading Written in Love and The Promise of a Letter. Thank you for the opportunity to win. I enjoy reading your books. Anything peanut butter and m&m’s. I love Snickers candy bars ……Thank You for writing !! Hmmm, I have different favorites different times of the year. But am always up for some Jelly Belly jelly beans. Favorites of those are Cherry, Vanilla, Toasted Marshmallow, Coconut, Dr. Pepper, Root Beer, Cream Soda and Buttered Popcorn. I love anything that includes dark chocolate…Mounds, Dove Dark Chocolate, Russell Stover Raspberry or Blueberry tiles in dark chocolate. Need I say more? My favorite candy bar is the Mars bar. I’m not sure if they are still made though. I haven’t seen them for a long time. Love you books and would love to win. Reese Peanut Butter Pumpkins, Trees, Eggs! All the seasonal shapes as they have more peanut butter! I love chocolate and the more German and Swiss the better it is. As for Halloween candy, I would say Kit kat bars! I really love chocolate of every kind but this time of year I get Candy Corn and make Butterfinger Fudge with it! Reese’s Peanut butter cup or anything rich, dark chocolate. Anything chocolate, but my absolute favorite is See’s Candies Chocolate Bourdeux. I love homemade buckeyes and chocolate mints like andie’s, junior mints, and hersey’s mint crunch. I love Cadbury Fruit & Nut candy bars! First of all, thank you for having this giveaway. My favorite candy is anything with Dark Chocolate; such as, Milky Way Dark. Halloween candy would be M&M’s. I crave chocolate every now and then and have get me some. Reese’s peanut butter cups and peanut butter M&M’s. Basically anything chocolate and peanut butter! It’s really hard to pick one favorite as I have too many favorites. My first go to tho would be Reece’s Peanutbutter Cups! Chocolate and peanut butter, ! I love that you put one of your pumpkins on the tote. Very cute! I love chocolate covered almonds. Dove is the best. I also love a local company called Red Rocker Candy. They have a cereal mix that is incredible. My favorite candy is plain M&M’s!!!! My favorite candy is the peanut butter eggs my Mom used to make <3 Thanks for the chance to win. Lisa..
My favorite candy is caramel turtles. I love several kinds of dark chocolate but Turtles with Pecans is my favorite. My favorite kind of candy is chocolate with nuts, M&M’s Peanut, Hershey with Almonds, Snickers, Baby Ruth, etc! I like Snickers bars, and in a box of chocolates I like vanilla butter creams. Thank you for this opportunity to win this prize. Best wishes this Autumn season. Anything dark chocolate! The higher the cacoa % the better! I love all candy but this time of year I am especially fond of candy corn. It is good mixed half and half with peanuts too. Thanks for an awesome giveaway! I like Skittles, Snickers, and of course, chocolate. Happy Halloween–thanks for offering this giveaway!!! I love anything with caramel in it! I especially love the Turtle candies!! Thank you for this giveaway. There is a reason I only buy candy corn once per year – once I start I CANNOT stop! Lol. It is definitely my favourite! I like Reese’s Pieces, M& Ms, Three Musketeers, and Snicker’s. Well I like several kinds of candy. Thanks for the giveaway. My favorite candy of course is chocolate. I love the ones with cherries and cream I in the centers. But all chocolate candy is good. any combination of caramel and chocolate!! Peanut clusters or chocolate with nuts are my favorite. Thanks for a chance to win this give away. Reeses peanut butter cups and chewy sweet tarts. I love caramel candy of any kind. I love candy apples this time of year but my favorite candy I would have to say is payday candy bars during the rest of the year. I have to say my favorite candy is the Peppermint Patty or Junior Mints. I love Snickers, Baby Ruth and Hershey with almonds. Lots of others, but these are my favorites. Peppermint because it helps when my asthma acts up and it also helps when I have a cough or cold. I also love the taste. Since southern Florida does not have the traditional seasons, my favorite candy is dark chocolate covered raisins all year long. I love, love, love Chocolate Turtles! I really like the Dark chocolate Milky Way. I like dark chocolate and fruit filling in candy also..Homemade Amish candy is soooooooooooo good as well. I would say I love caramel anything caramel. I like Carmelo bars heath bars and Werther’s. I love anything chocolate oh yeah and salted caramel…Aww add me some coffee and a good book.. So please Write on for us. Anything with dark chocolate and peanut butter, but especially dark chocolate. Peanut Butter Fudge , my husbands speciality. The grandkiddos love for him to make it ! I love Hershey’s chocolate bars as they remind me of when my step great-grandfather would give them to me when I visited him in his 1860s home that I loved. I love (almost) anything with caramel, especially gooey caramel like Caramello bars. I do also love the Cadbury Flakebars, but I rarely get one since I live in Minnesota and they’re pretty rare here. I like chocolate bars w/ almonds , peanut m & ms, pretty much any chocolate candy but I prefer milk choc. over dark. I love cotton candy, candy corn and peeps. My very favorite is homemade chocolate fudge with walnuts and that’s why I love this time of year getting ready for the holidays. However, a good fresh Butter finger is my favorite store bought candy. Reese’s peanut butter cups. Chocolate & peanut butter! Yum yum! My favorite is Hershey’s dark chocolate. I love chocolate! Chocolate with peanut butter is even better! But during the fall, I like my candy corn! Reese’s Peanut Butter Cups. My Daddy used to buy this candy for me all the time when I was little. I absolutely loved it when he came home from work with Reese’s. I still love the candy today, and it always reminds me of Daddy. I love Hershey dark or milk chocolate with almonds or dove dark with almonds or just the milk chocolate ones.